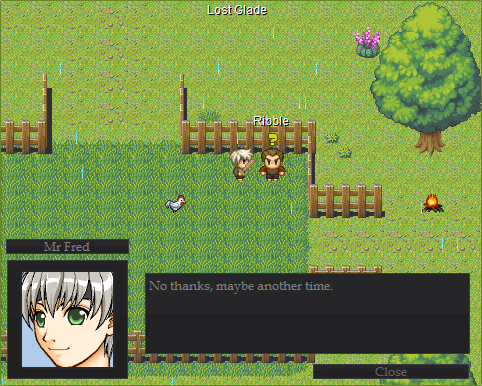 When having a conversation with an NPC, depending on what pick to say to the NPC and depending on your character's appearance, you now show also in the conversation in an attempt to get the player feeling more involved with the game and help the player get into the game. All 81 character portraits have been done for each of the 81 currently available player sprites. 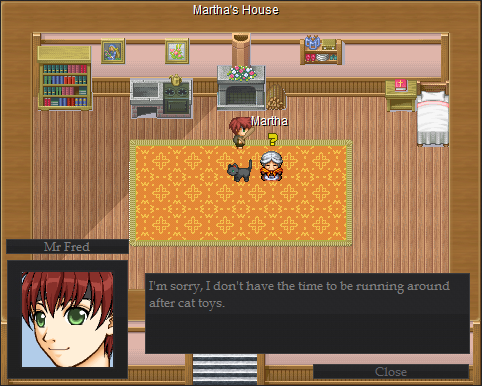 Here is an example of a saying the desired message to an NPC, it's the same player, however hair dye has been used in the second image. All feedback is welcome.